Sherry Talbert is a life-long resident of Shelby County. She earned her real estate license in May 2012 and went on to get her Associate Broker’s license in 2014. Before entering the real estate field, Sherry worked in long-term healthcare at Ashford Place Health Campus and Waldron Health and Rehab, working in admissions and marketing. 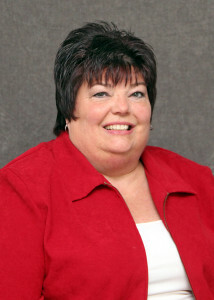 She also had worked for the City of Shelbyville for 16 years. Sherry has been active in the community. She is a member of the Shelby County Chamber of Commerce, having served on committees such as the Trade Fair, ATHENA/Women’s Expo, Golf Outing, Cash Bash, and Girl’s Night Out. Sherry also belongs to the Shelby County Builder’s Association and is in her second term as treasurer. She also volunteers at the Shelby County Senior Service’s annual Strawberry Festival in June. Sherry is a member of the National Association of REALTORS (NAR), Indiana Association of REALTORS (IAR) and Metropolitan Indianapolis Board of REALTORS (MIBOR). She is also active in the Shelby County Division of MIBOR, having served 2 years as secretary and serving now as treasurer. She is married to Brian, also a life-long resident, and they have 2 adult children, Josh (wife Danielle) Talbert and Lissa Talbert. They have 1 grandchild, Bryson. Sherry is a full-time REALTOR and can be contacted in person at In-Sight Realty, 46 E Washington Street, Suite 1, in downtown Shelbyville, the office phone is 317-825-0820. She can also be contacted by her cell phone, 765-745-0120 or by email sherry@in-sightrealty.com.